First announced at NAB 2018, Sony is now taking orders and shipping the PXW-Z190 and the PXW-Z280 XDCAM cameras. 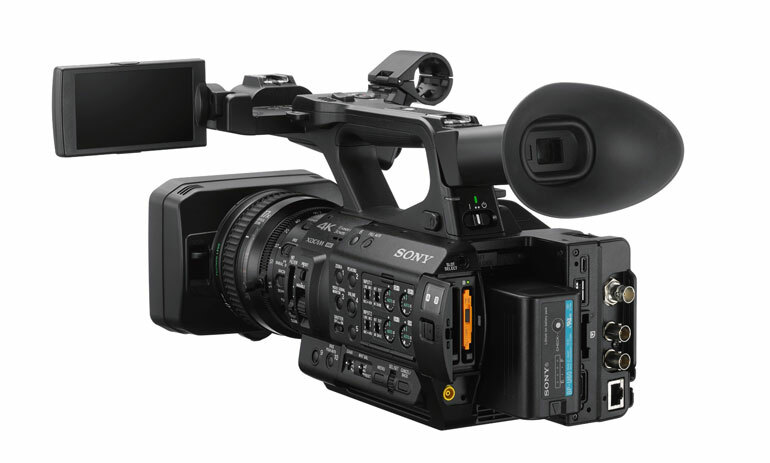 The Sony PXW-Z280 is currently the flagship camcorder in Sony’s XDCAM line. In the hierarchy of Sony cameras, the Z280 is below the FS7 and FS5 cinema cameras, but it’s king of the fixed lens professional camcorders. The Z280 shoots up to 4k at 60p, with 4:2:2 10-bit color, with either the XAVC Intra/Long codec or MPEG HD for broadcast shooters. For documentary filmmakers, the Z280 does shoot in S-log 3. It has a built-n electronic variable ND filter, which was first seen in the FS5. That makes it very easy to control exposure with click-less transition from dark to light or vice versa. The fixed lens has 17x optical zoom, and f/1.9 aperture throughout its range. In 35mm equivalent terms, the zoom range is 30.3mm to 515mm. The lens has 3 independent control rings with end stops, which makes it easier to control manual focus, zoom, and iris. If you shoot to HD, the digital zoom gives you 34x zoom capability, without image degradation since it is captured with sensor cropping. As for autofocus, the PXW-Z280 has a new face detection AF system, with options to choose Face Priority or Face Only. The Z280 can shoot to both 4k and HD proxies simultaneously, and it has SDI output at 4k/60p for both external monitoring as well as recording. And if you are still stuck in the 90s, the Z280 can also output SD video in DVCAM format. The all-new sensor in the Z280 is an array of three 1/2-inch CMOS sensors, which makes it better for low light shooting when compared to standard camcorder sensors. And because HDR is something everyone is talking about, the Z280 has support for HLG (Hybrid Log Gamma) which is compatible with HDR. The PXW-Z280 is not a cheap camera. 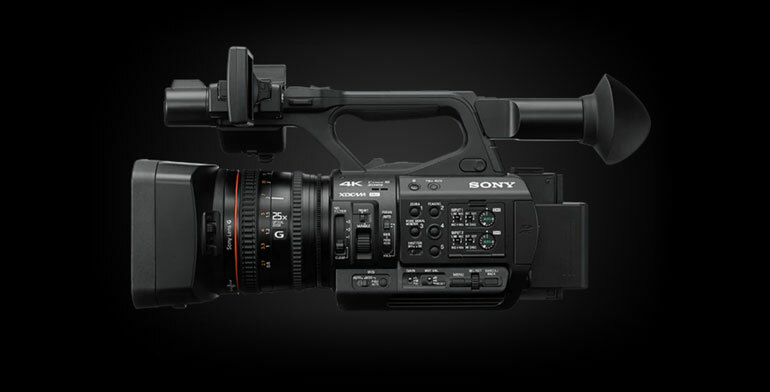 This is a professional XDCAM that has all of Sony’s latest technology in one powerful camera. Anyone shopping for a new documentary or broadcast camera will want to look at the Z280 first, before moving down the line. The Sony PXW-Z190 is very similar to the Z280, but with some less spectacular specs. For one, you only get 4:2:2 10-bit in HD, not in 4k resolution. Footage is recorded to dual SD slots, rather than dual SxS card slots. The sensor in the Z190 is also smaller, with a 1/3-inch 3CMOS sensor. It does have a 25x optical zoom in 4k, and 50x digital zoom in HD, but the lens is different. There’s still the same autofocus face detection technology as in the Z280.